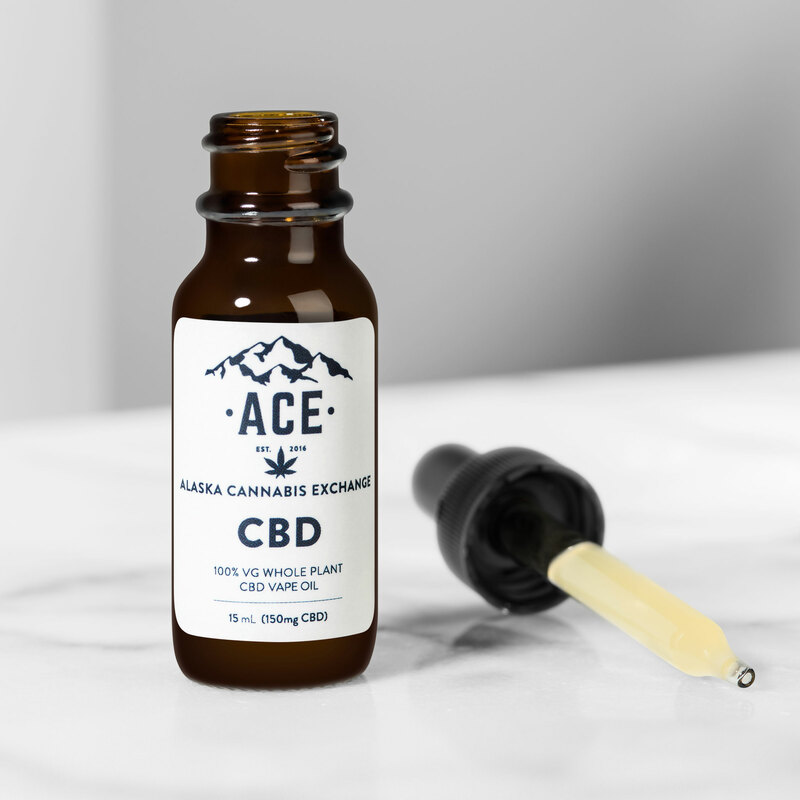 When you feel a headache coming on, anxiety setting in, or you experience aches or pains, ACE Whole Plant CBD Vape Oil may help to relieve symptoms within minutes, allowing you to think clearer, feel sharper & have more energy! 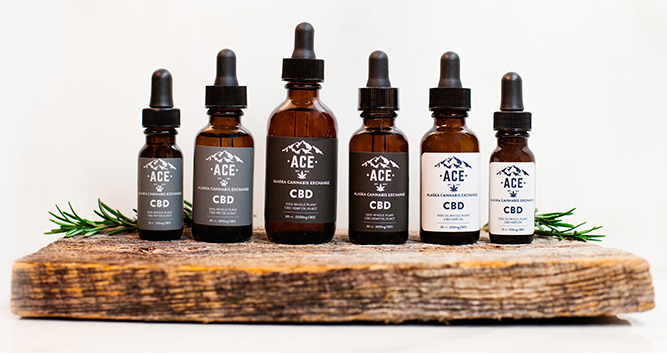 We recommend vaping at 24 watts (280 degrees) for maximum CBD absorption. Begin with just one puff and wait a few minutes to determine if your symptoms subside. 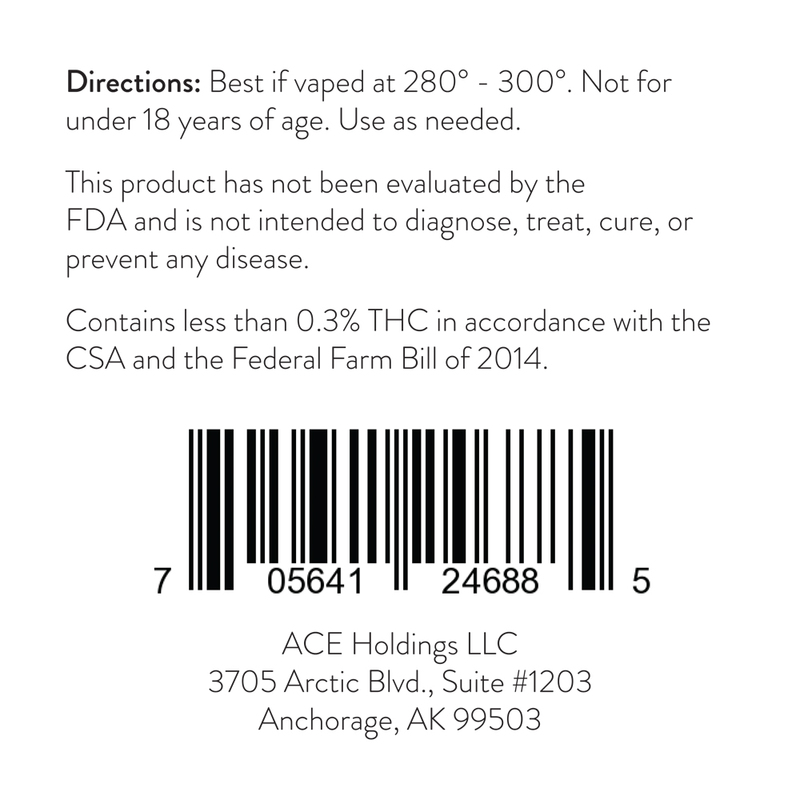 If symptoms remain take another pull from your vape pen. 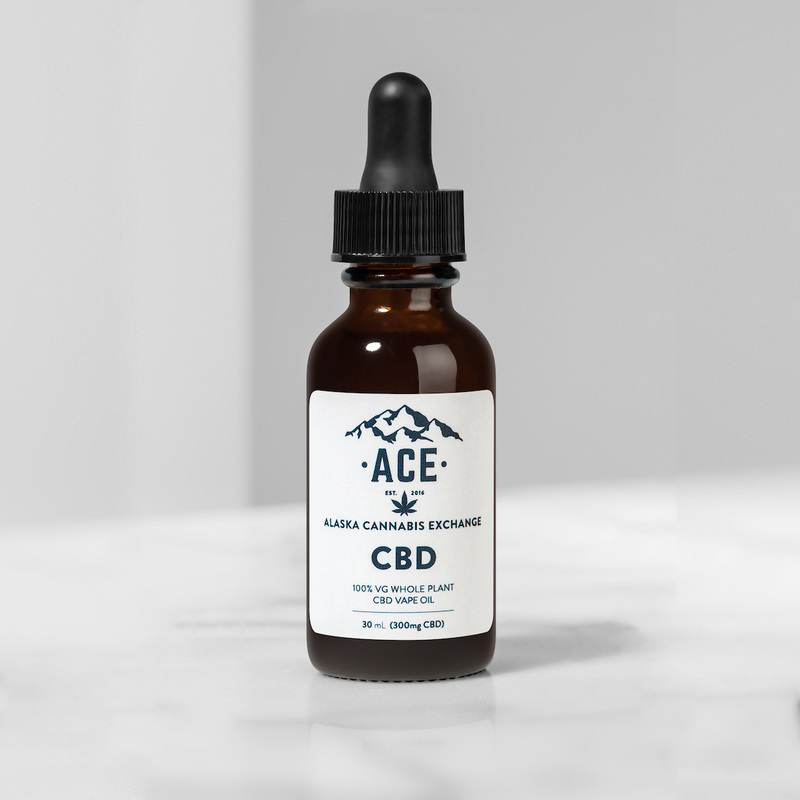 ACE CBD Whole Plant Vape Oil can be used as many times as needed throughout the day. 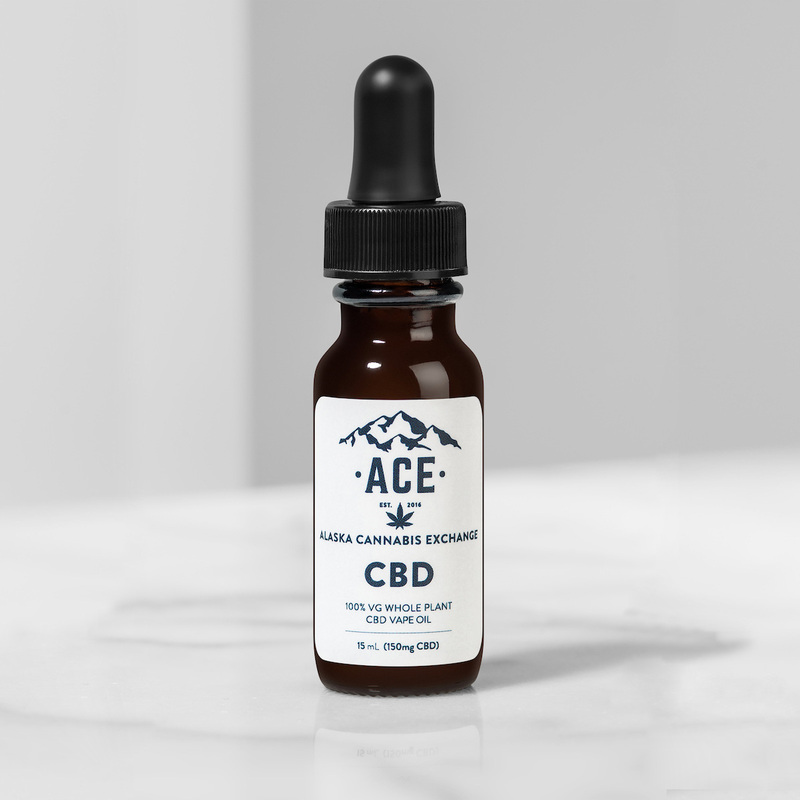 We’ve discovered that removing CBD Vape Oil from your routine for 24-48 hours every few weeks allows the body to “reboot” by depleting buildup in the body. Doing so will help you achieve the results that were seen when you first tried our product. No artificial flavoring or additives. 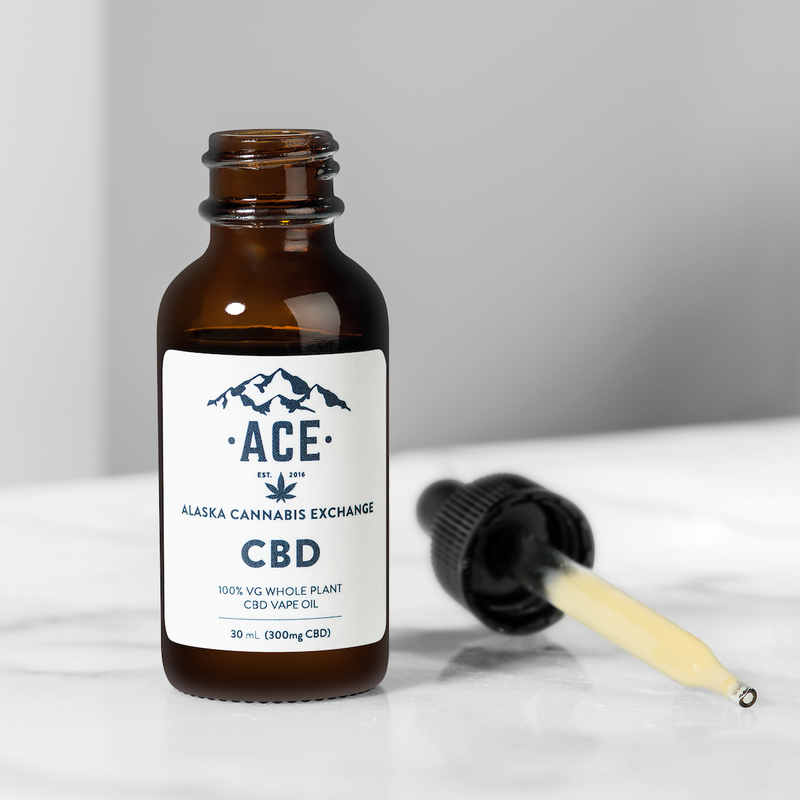 100% Vegetable Glycerin and Cannabis Sativa Extract – High CBD genetics grown from Hemp. 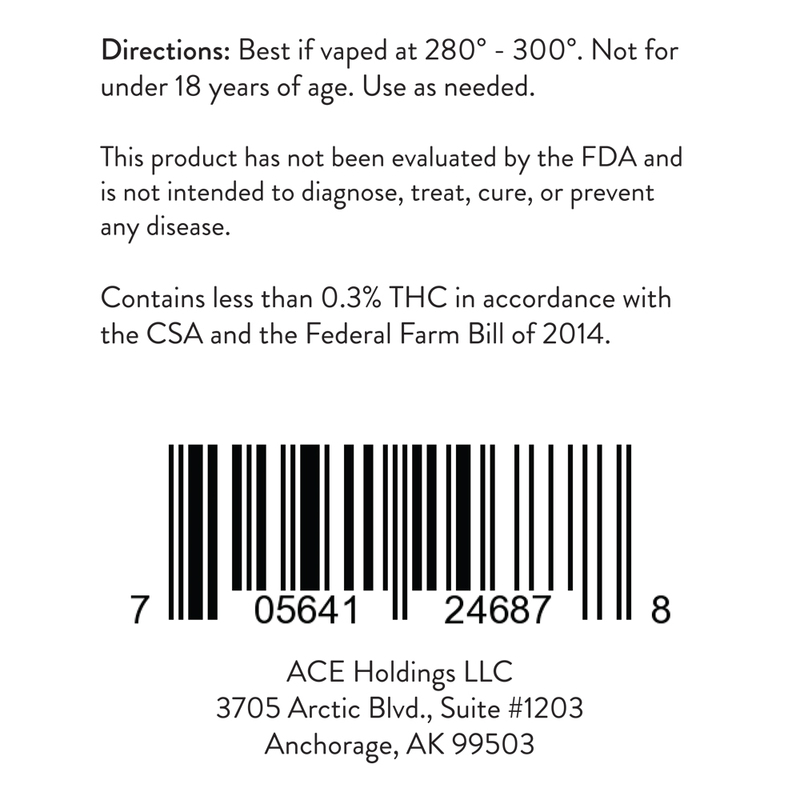 Delta Tetrahydrocannabinol (THC) in accordance with the CSA and the Federal Farm Bill of 2014.